According to Christian Hupfer's comment I understood that calculations are possible in a keyval list when the macro is expandable. The macro \numexpr being expandable, calculations are possible. Hence the interest in knowing which macros are and which are not expandable from TeX, LaTeX, e-TeX, etc. I am not asking if there is a test, but if there is a list already made. However to answer the question as actually asked, note that \numexpr is neither a macro nor expandable. All macros are by definition expandable, a macro works by expanding to its replacement text. There is no list of these as it is any command defined via \def or its variants \edef, \gdef, \xdef. 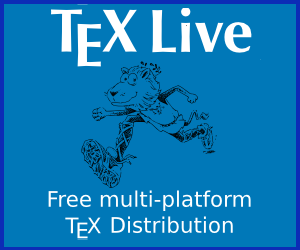 The TeXBook lists all the TeX primitivies, these are marked by a * in the index, although you need to check the description of each individually to see if they are expandable. A list of all expandable macros is entirely impossible to provide: there are an open-ended number of cases. What one can do is provide a list of primitives which work by expansion, and general rules for macros. is not expandable. That is the majority of 'useful' macros, so as mentioned in comments, if you are not sure, assume non-expandable. Note that the list of non-expandable primitives is quite long, and we do have to remember about the context. For example, something like \tracingcommands acts like a count register, so is non-expandable unless if follows \the. Thus unless we implement a token-by-token processor, just seeing \tracingcommands doesn't tell us that a macro containing this token is not expandable. In LaTeX3/expl3, all macros are either fully expandable or are \protected. Moreover, the expandable ones are all marked as such (with a star) in the documentation. The reason is that it requires some knowledge to see if something is expandable, in particular checking all macro 'dependencies'. As such, one has to work carefully to track expandable macros. Not the answer you're looking for? Browse other questions tagged macros expansion or ask your own question. What is the difference between 'macro' and 'command'? How do I examine a token?